Becky Grossmann was first introduced to the work of Bible translation as a young girl when her mom encouraged her to pray for missionary friends in Bolivia and Papua New Guinea. Becky became passionate that all people needed to hear the Good News about Jesus, her best friend and Savior. Through this realization, God put it on her heart to follow the footsteps of these missionary friends and train to work with Bible translation projects. 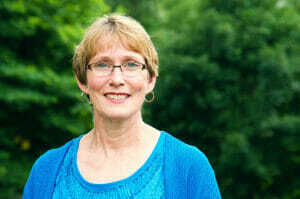 She began serving with LBT in 1985 as an assistant to the language program manager in Liberia, West Africa. She then became the manager for a short time before being assigned as translation advisor to the Bandi people of Liberia in 1989. The civil war in Liberia delayed the project several times as Becky evacuated for lengthy periods. However, she was eventually able to return to Liberia and the translation was completed in 1996. After several years in the U.S., Becky’s LBT service resumed in July 2012. She is currently involved with various translation projects in Liberia, particularly for the Gola, Dan, and Maan people. Becky assists translators via innovative technologies such as internet communications and teleconferencing, with periodic in-person visits to Liberia.